There's lots of things to do on land and in the water at Whytecliff Park! Stop by The Whytecliff Kitchen during your visit to the park for a cup of coffee or lunch. They've got a great patio too! For more info visit their Facebook page. 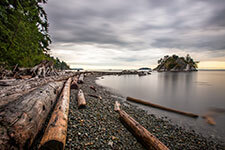 Whytecliff Park is a great spot to get together with friends and family for some outdoor fun! There's two tennis courts and a large grass field that is just perfect for tossing around a frisbee or an impromptu game of badminton. There's also a great playground for the kids to enjoy! The park has plenty of short hikes to choose from. You will find most of the trails by the Northwest corner of the gravel overflow parking lot. 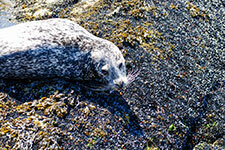 Also be sure to venture across the rocks at low tide and find a quiet spot to relax on the bluffs. Swimming at Whytecliff Park is always popular in the summer months. The beach is covered in small stones with small patches of sand. It's in full sunglight for most of the day so ensure you're wearing lots of sunscreen. 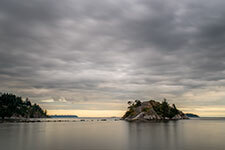 Whytecliff Park is known as the premier dive spot for divers of all capabilities. There are various dive classes that explore the inner cove and more advanced dives that explore the Queen Charlotte Channel. Don't miss out on beautiful sea life and contact your local Dive Shop for more information.